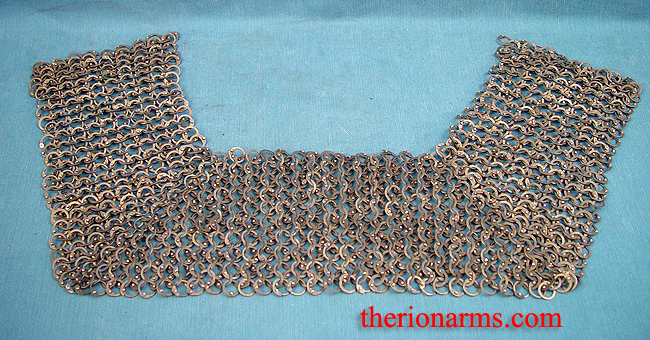 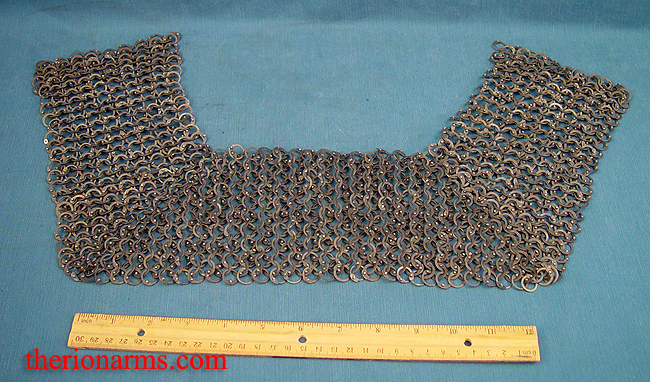 Maille standards were worn with late 14th and eary to mid 15th century helmets as extra throat protection undeneath the aventail, or underneath the solid plates of a great bascinet. 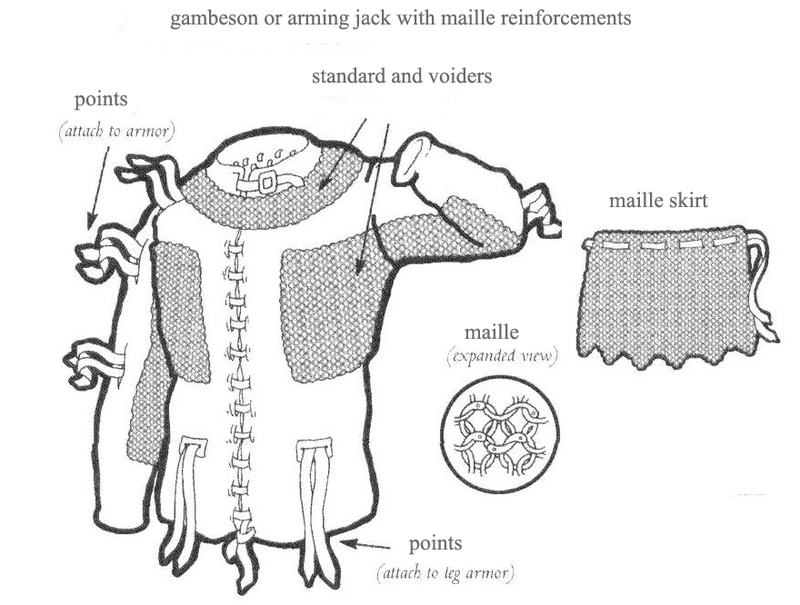 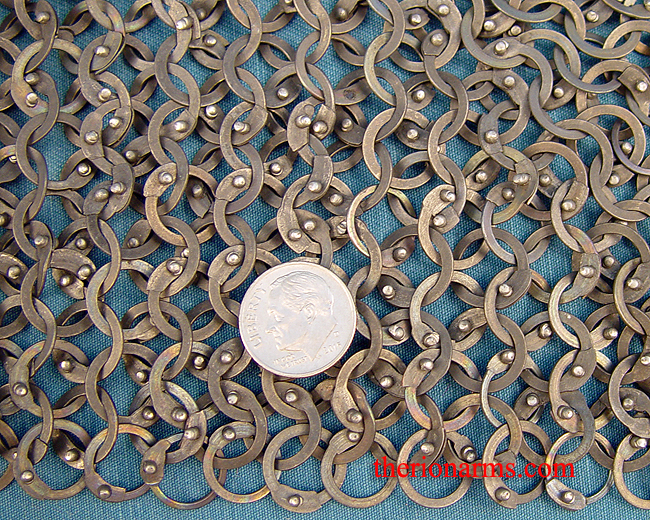 These swatches of maile can be attached to a padded or leather "dog collar" gorget, or directly to the collar of a gambeson or arming jacket. 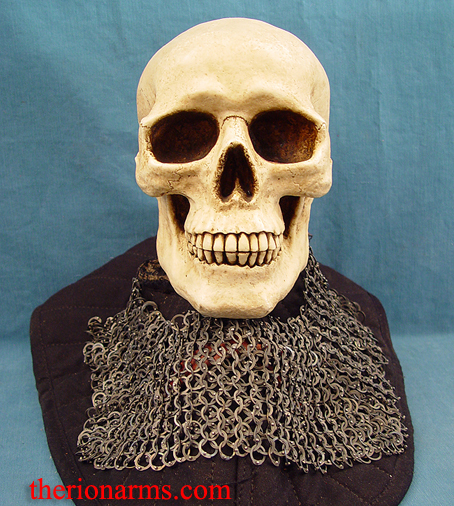 The Sir Skully picture above is a King grade standard laid out over top of a padded collar so that you can get an idea of what a standard looks like in action.